Technically we are still in summer until September 22nd, when autumn officially arrives. This month, the daytime temperatures should drop 10-15 degrees and the morning lows will dip into the 40's. Don't expect a hard freeze here in the valleys but up at Lake level a hard freeze is very possible. Start cutting back on the watering and plan by the end of the month to be watering established plants and lawn once a week. While you are still enjoying your summer vegetable garden, know that there is still a lot of gardening time left in September and October. Fall gardening in Northern Nevada is especially gratifying and many gardeners think it is absolutely the best time to plant ornamental trees, shrubs, and fruit trees. It's time to plant onion sets and garlic for harvesting next summer. 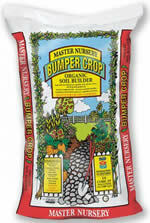 Peas, lettuce, spinach and radishes can once again be planted and enjoyed through out October or even later. Fall bulbs such as daffodils, tulips, hyacinths and alliums will be arriving this month. The best selection of fall bulbs is in September - but wait to plant them until October because it is too warm in September. This year, let us help you plan a bulb garden for a spectacular spring display of color. On September 6th we will have our final Full Moon Madness sale, for the season, from 8 AM to 6 PM. Throughout the month of September all pottery, fountains, benches and outdoor statuary will be on sale. Don't forget this is also the last month to redeem Bonus Bucks. We had a wonderful time at our annual Art at the Greenhouse event, on August 12th. The weather couldn't have been more perfect. The entertainment was spectacular. Jakki Ford, in conjunction with Carson City Jazz and Beyond was simply delightful. Randi Ide entertained us all in another location with favorite sounds of the 70's, 80's and 90's. The CHS Band Boosters served up delicious eats. The quality of the work that the 35 artists brought to this event was amazing. The public voted for their favorite artists and the winners are: Kathleen Stemler - first place, Nancy Ryan - second place and Debbie Foster - 3rd place. Join us next year, the second Saturday in August, when we will be celebrating the 15th annual Art at the Greenhouse. Fall is my most favorite season. The cooler temperatures we are starting to enjoy are one of many pleasurable things that fall has to offer. The rich jewel tones of the flowers at this time of year range from yellow to gold, red to maroon, and orange to magenta. Chrysanthemums, also known as mums, are in. This compact, aster like perennial blooms from the end of summer throughout the fall. One of the varieties we have in stock is Key Lime (yum), which is almost a neon green. Check out Pizzazz Purple, which is spectacular in a rich, deep plum purple. We also have Pumpkin Pie, Fire Alarm Red and my personal favorite Flamingo Pineapple, a bicolored pink and yellow bloom. For more variety think about adding other perennials like asters, Autumn Joy sedum and Blue Mist Spirea (Caryopteris) which are all late summer, early fall bloomers. Don't forget ornamental kale and cabbage for spectacular foliage in your fall garden. Shrubs with ornamental berries are very showy at this time of year. If you are looking for a shrub that produces something besides red berries take a look at the snowberry bush. Snowberry Candy grows 2.5 ft. X 2.5 ft. in a compact form. Pink berry clusters fully develop in the fall and remain on the stem throughout the winter. Snowberry Bright Fantasy grows at double the size and has a white berry. Both varieties also work very well in floral arrangements. Most importantly for those of you who are wondering...I'm having a baby girl! Her name is Laci Ivy Fristoe. Fashionable and charitable! What more could a woman ask for? Take a peek in our Gift Shop and see our delicious new line of necklaces from Chavez for Charity. Each necklace represents a worthy charity and receives a 25% donation for each purchase. Join us in a magical land of miniatures. . .Whimsical angels, beautiful cottages and majestic winged horses set the scene for a fantasy garden that will excite the young and old alike. Create your own special world with these delightful creatures! The Tomato Soup Coneflower perennial is a member of the Echinacea family and offers color and a spicy fragrance all summer and well into the fall. This autumn delight would make a lovely addition to the sunny perennial border or a mixed bed. The Coneflower is an attraction to birds as well as butterflies, and prefers lots of sunshine.